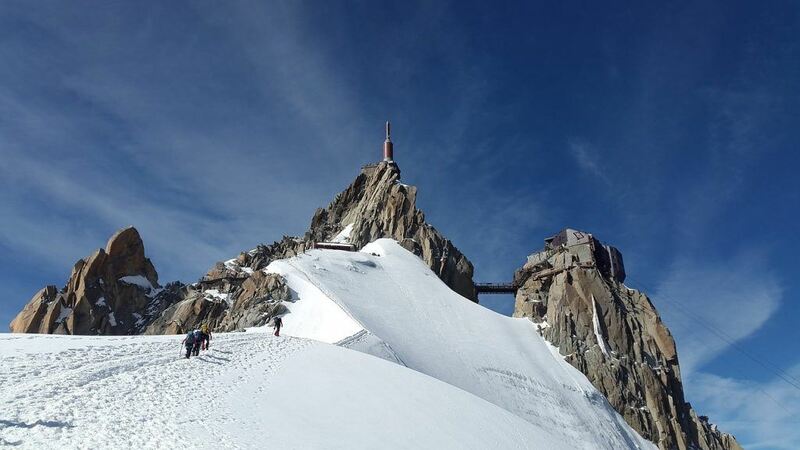 Making student loan payments every month can seem like an uphill battle sometimes. Here are some tips for keeping your head above water and remaining happy throughout the process. It could be that it’s starting to get cold where I live in NYC. Or it could be because I’m a couple months away from paying off approximately $190,000 in student loan debt (it did help that student loan refinancing saved me a few grand in interest). Either way, lately I’ve been thinking about how difficult, lonely and even depressing the journey to pay off debt can be. Let’s be honest, nobody is getting great satisfaction seeing their debt go from $157,000 to $152,000. It just doesn’t feel like you’re moving the needle. The road may be long, but the rewards in the end are pretty awesome. I’ve long since crossed the threshold where I could pay off my student loans if I wanted to, but I kept them around for awhile for a few different reasons. First, after refinancing the loans, I had a low variable rate that gave me flexibility to make other investments without being overly concerned about the interest rate (which averaged about 6.5% before refinancing). Second, I liked the discipline of focusing me on reducing expenses because I had loan payments to make each month. Both of these reasons kept the debt around longer than I needed, but at the beginning of this year I looked at my balance sheet and saw $78,000 in student loans and thought “Why the hell do I still own them money?” And so this year I decided to pay it off by ramping up my monthly payments. Below is a list of some ideas for helping you get through the slog as well. 1) Make It Automatic. You’re dead in the water if you haven’t already set up your payments to be automatically debited from your account. In fact, the less you see the money, the better you will be. This isn’t just the standard “pay yourself first” advice. This is about the deep-seated “loss aversion” that humans hate. You will drive yourself crazy making monthly payments and transferring excess money to your student loans if each payment is a loss. It’ll be death by a thousand paper cuts. Be smart about your mental health and make everything automatic and behind the scenes. Of course you’ll still notice the money moving around, but you won’t be burning up mental energy and introducing negative thoughts in your mind each time you shovel money toward the student loan debt monster. 2) Understand There Are Ups and Downs. You will have good months and bad months. There will be good life events and there will be bad life events. Sometimes the stars will align and you’ll make a huge monthly payment on your student loan. The very next month you’ll barely make a dent thanks to the fact that you forgot to budget for plane tickets home for Christmas. It comes with the territory. You can’t expect your motivation to remain steady over the years it will take to pay off your loans. In other words, don’t be so hard on yourself when you have “bad” months. As long as you are moving in the right direction, it will all work out in the end. 3) Know That Your Debt Doesn’t Define You. You are not your net worth. And you are certainly not your student loan debt. Remember to cultivate other parts of your life while you’re paying off debt. 4) Celebrate Along the Way. When you’re paying off six figures of student loan debt, on a month-to-month level it doesn’t feel like you’re making much progress. Yet, there are several milestones along the way that are worth celebrating. I remember when I crossed the -$100,000 threshold. It felt like a big deal because when you start out owing $201,000, only owing $99,000 seems like such a small number. I also remember when I crossed net worth zero. For the first time I thought, “If I wanted to pay off my student loans today, I could actually do that.” There are other milestones along the way worth celebrating and breaking the bigger project (paying off the whole thing) into smaller projects (paying off $50,000) makes it much easier. You can bet that I’ve already bought the bottle of champagne I will be opening when the last student loan payment is made. 5) Keep Track. You can’t feel like you’re making progress unless you keep track of the numbers. I recommend adding them up and writing them down once a month. Keeping track lets you know that you’re moving in the right direction and over time gives you a history of where you’ve been and where you’re going. In the first couple of years working at the firm, I’d often pull up the spreadsheet and scroll through my history. Once you do that you start to feel that owing an amount like $156,000 really is better than how you felt when you owed $188,000. 6) Find Alternative Ways to Motivate Yourself. Different people are motivated in different ways. 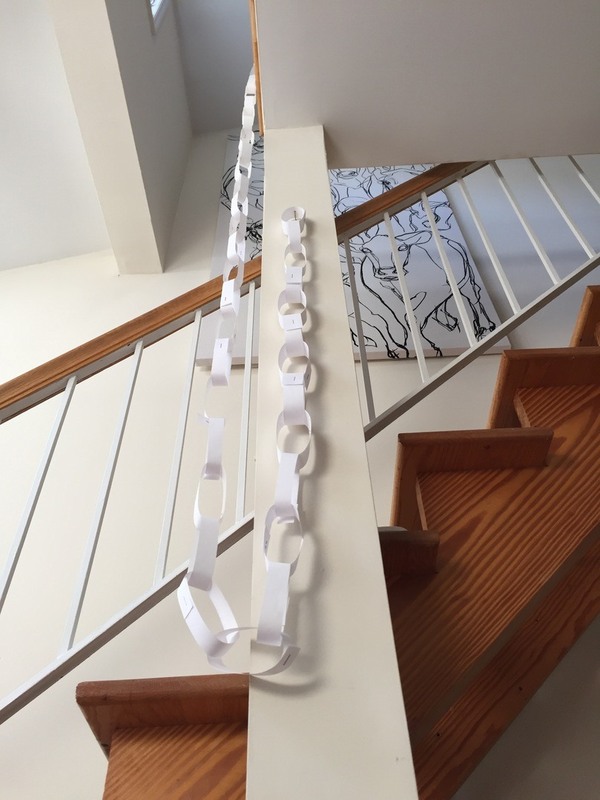 I created a student loan chain which I hung up in my living room. Some people found it a little extreme, but I thought it was a good daily reminder of the debt in my life. Plus, it was a lot of fun cutting off the chains as I paid down the debt and it made the process go by quicker. 7) Slip Up Now and Then. Nothing amuses me more than when I see law students post on forums about how they’re going to live near work and pay off their debt in two years by going home each night to play video games and eating pizza slices for dinner. And then, after two years, they’re going to start living their life. If you actually did that, send me an email as I’d love to feature you on the blog. The truth is that two years is a long time. You’ll have good days at work and bad days at work. Sometimes you’ll want to let off steam with friends. You might even want to take a vacation or two over those two years. That’s all okay, because if you want to pay off you debt you should be in it for the long haul. Life as a lawyer is a marathon, not a sprint. There’s a reason why marathon runners don’t leap out of the gates and race down the first 100 meters. It’s unsustainable for them and unsustainable for you. Allow yourself to slip up from time to time and be gracious on yourself when you do. 8) Imagine What It Will Feel Like to Be Debt Free. When you’re feeling depressed about the hole you’ve dug for yourself, take a moment to imagine what it will feel like to be debt free. Imagine the time when there will be no more monthly payments. No more logging in to student loan payment websites. The money you earn will be yours to keep. That time is coming and it will be glorious. It may seem far off, but it shows up eventually. 9) Throw Extra Money Towards Debt. I thoroughly enjoy finding money. Anytime there’s a windfall, even as small as $20, I got a big thrill out of throwing it onto the student debt bonfire. Many times I’d make a payment that only touched the accrued interest, which sort of makes you feel like you’re not even making a payment. But deep down I knew that by reducing the accrued interest it meant that month’s payment would make a bigger impact on the principal. It gave me great pleasure to get some extra money (selling something used, getting paid $200 to participate in a student, etc.) and then handing it over to the debt monster. I knew that I didn’t really need the small sum of money, so why keep it? Just hand it over to the creditors and keep on going. 10) Look at Your Debt in A New Way. Pretty quickly it gets old to look at your debt spreadsheet. I wish I could lie and say that you feel a great sense of accomplishment as you make small progress on your debt, but you really don’t. It’s a slog. One way to help change your perspective is to look at your debt in a new way. In addition to keeping track of the total amount owed, I also had a rough calculation of my monthly interest (i.e. total debt x interest rate divided by 12). When I first started, my monthly interest payments exceeded $1,500. Instead of thinking about owing $200,000, I thought about the fact that my debt was stealing $1,500 from me each month. Think about all the traveling you could do if you had an extra $1,500 coming in each month. Or insert whatever else you’d prefer to be doing with your money. It’s motivating to know that once you pay off your debt you’ll be able to use that money toward your goals – and that’s even without increasing your income. By looking at your monthly interest payment, you’ll also give yourself more milestones to celebrate as you reduce the monthly spend. 11) Stop Obsessing Over Debt. Yes, your debt is a problem. But it’s not the end of the world for you. In fact, if you’re reading this blog, you are either planning to be a millionaire or you currently are a millionaire. That should give you some perspective on $200,000 of student loan debt. It’s a lot, but in the grand scheme of things it’s only a fraction of what you will eventually accumulate. Treat it like the problem it is, but don’t obsess over it to the point where you aren’t functioning at work or in other areas of your life. This too shall pass. 12) Create a Reward For Yourself When You’re Debt Free. While you’re paying off debt, you’re depriving yourself of things that you could be doing with your money. If you’re doing it right, it hurts a bit too. You might be putting off a trip that you want to take or a purchase that you’d like to make. Use this to motivate you to get through the low points. Start anticipating the eventual purchase. If it’s a trip, start making plans for where you want to go and where you want to stay. Figure out when you think you’ll be done paying off the debt and start to imagine when you’ll be able to afford what you want to do. Having a reward at the end of the long road helps you focus on the benefits of what you’re doing rather than on what you’re giving up today. What other mental strategies have you used to keep yourself happy while you’re paying off your student loans? Let us know in the comments. Savings Accounts Are Not Risk FreeWhere Are All The Rich Lawyers? Eight thoughts on Do You Hate Paying Off Debt? Giving yourself small victories is really important in keeping yourself motivated. It’s hard to feel like you’re making any progress when the number is so big. I know for myself, each 10k that I paid off were my goalposts. I was also one of the those people who paid off my debt in around 2 years, although I didn’t have near as many loans as you. The difference though was that I earned market rate at a biglaw firm in the Midwest. Market rate here when I started was 110k per year, so obviously much less than the 160k market rate on the coasts. On the flipside, our rent is a bit less compared to NYC, so the 110k goes farther I think. So not sure how you’d calculate it. $87k in student loans on a $110k salary – maybe that’s equivalent to something like $140k in loans on a $160k salary? I probably could have done it faster if I was more disciplined, but I did go out to eat a lot and I spent more money than I needed to on things that I probably didn’t need. The main thing I did though was to try to keep my lifestyle comfortable, but not lavish. I’m not fooled. Paying off $87K debt even in a lower cost of living environment is quite the accomplishment. The real problem for me was that I graduated at a time when the government had decided to help everyone out by giving us fixed interest rates ranging from 6.8% to 8.5% and this was the time before you could refinance your debt. For the first 3 years of practice, there weren’t companies out there willing to refinance. As I mentioned in the article, paying $1,500 a month in interest alone is really depressing. But eventually everyone can tame the debt monster. You just have to be disciplined and focused. I like the idea of $10K goal posts. Anything you can do to break it up into smaller goals is the right way. I love the tips thanks for sharing!!! I use to write on my mirror what my goals were so that I was forced to look at them everyday. Periodically I would update them as needed. Now that I’m out of debt one thing that I wish I did was throw a party for myself. Nothing big but something to acknowledge that I accomplished something. There will definitely be a party in my future. I’ve timed everything so the last payment will be made on December 25th. It’s fun to actually be in control of your debt so you can do stuff like that. I’m very lucky that I graduated right before the government decided to “help” everyone by giving us fixed interest rates of 6.8%, so I was able to consolidate much of my loans and the rates are 2% to 3.5%. My last year, I did have loans at 6.8% and I would throw some extra money at those and eventually paid those loans off. It was a great feeling. Making it automatic is good tip…I don’t even think about my low interest loans now. Yeah, the government “help” on fixing the interest rates made them thousands of dollars. Oh how I hate debt!! Haha. Luckily the only debt I have now is from mortages on rental properties because I was fortunate enough to never get in such a bind however I would like to point out another alternative to help get rid of that debt is to side hustle!! In other words, figure out ways to make more income on the side, online or anyway you know how to help pay that debt off faster! Great advice. Everyone should have a side hustle. And if you want to be super awesome, you should have a side hustle like Alexander.